Imagine yourself in a shopping mall. You picked an interest on a recently-released smartphone but you want to know how the consumers rated it. Glancing on the smartphone using your smart glass, valuable information popped up instantly alongside the device which includes the user ratings, product price range, and supply information, all of which help you weigh the pros and cons before you decide to purchase it. This is what augmented reality is capable of. Commercially, AR has been around for a couple of years, gaining its roots from iPhone’s first AR app released in 2009. Today, AR revenues are expected to reach a staggering USD 5.2 billion in 2017. It also made substantial contributions in nearly every industry, including lifestyle and health, multimedia and entertainment, video games, social networking, enterprise and mapping locations. Although it’s still in its early stages of adoption, augmented reality offered many benefits in the logistics industry, especially in supply chain management. As businesses collaborate with different partners and suppliers, conforming with orders over diverse warehouses and 3PLs, augmented reality will help speed up the processes involved in the supply chain framework. A vast majority of warehouse operations still rely on the pick-by-paper approach, which is error-prone and time-consuming. Furthermore, workers who are assigned to these tasks will be needing constant, cost-sensitive trainings to make sure that they work effectively with minimal errors. AR will play a big role in the warehouse-planning process. As today’s warehouses now offer unique services from product assembly to product labelling aside from being used as a storage and distribution hub, this means it should be redesigned to cope with these new services. Through AR, we can visualise any planned arrangements in full scale, allowing for the placement of interactive digital representations of proposed modifications for the present warehouse setting. AR can be a great replacement for printed cargo lists and load instructions. Instead, the loader would receive a loader plan and instruction of the sequence of pallets and where to place them directly on their AR devices, thereby speeding up the loading process. AR devices can be used to scan printed parcel labels and trade terms. This will help facilitate trade documentation and international freight handling. 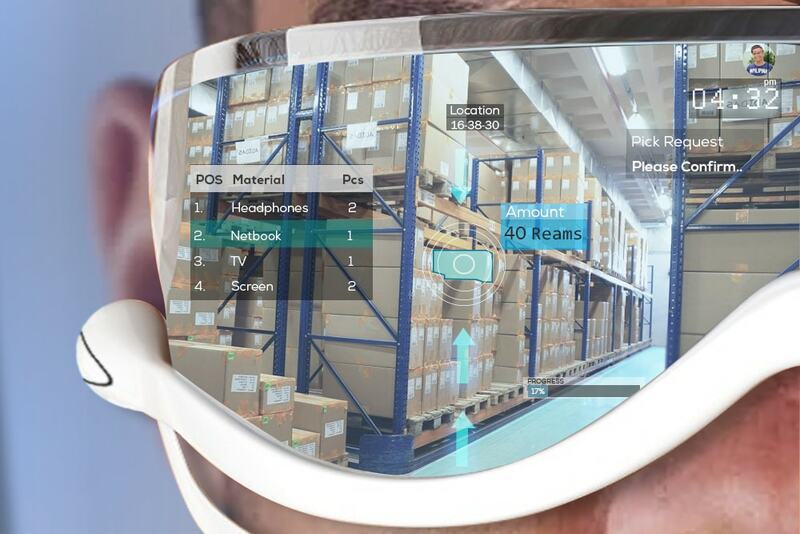 With a wearable AR device on hand, users can perform more effective pick-ups, by assessing the number or volume of pallets or parcels and comparing them to predefined values. This can also be used to check if a delivery is ready for pick-up. With traffic congestion being the number one problem in today’s transportation, replacing navigation systems in delivery vehicles with that AR thus provides real-time traffic analysis and alternative routes. This will help optimise routing in real-time, improve transportation safety, and reduce drive distraction. Augmented reality will truly revolutionise the supply chain, but as long as it overcomes a number of technical and societal challenges, it’ll still be a long time before AR becomes a staple of every logistics processes.